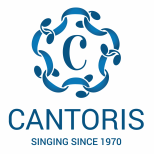 Taking a break from music of the more classical genre and showing it's versatility as a choir, Cantoris' first concert of 2018 will be a programme that will combine a mix of popular show tunes, recognisable songs from stage and screen, and all-time opera favourites. Reminiscent of Musical Director Thomas Nikora's first concert with Cantoris three years ago (Baroque to Broadway), Cantoris will once again put on a concert that will not just be for chamber music lovers but also welcoming of those who enjoy the more recognisable and contemporary pieces​. Cantoris also has the pleasure of performing this programme with Wainuiomata Choir. The programme will include songs from musicals such as Chess, Carousel and Les Misérables, music from screen such as the movie Amadeus, and universally loved opera pieces from Carmen and La Traviata, and much more. The choirs will perform two concerts - one at St Andrews on The Terrace on Friday 18 May and the second at St James Church, Lower Hutt on Sunday 20 May. $25 Adult/$15 Concession, Free for Children 12 years and under. ​Tickets available here, Eventfinda or door sales at the venue.